Thursday, October 30, 2014, will see The International SeaKeepers Society host their annual Founders’ Dinner. 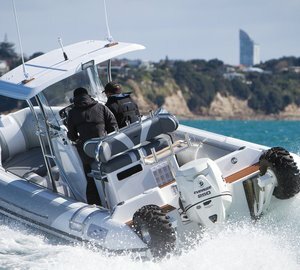 The event will honor vessels that participated in the 2014 DISCOVERY Yacht expeditions, SeaKeepers Drifter deployments, as well as outreach programs. 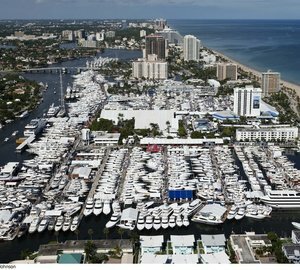 Founders’ Dinner will take place at a private waterfront residence in Fort Lauderdale on the night of October 30th during the Fort Lauderdale International Boat Show. SeaKeepers will honor 2014 DISCOVERY Yachts: motor yacht Copasetic, charter yacht Defiance, Fugitive, LoJo, superyacht Meduse, charter yacht Penny Mae, Shredder of Fleet Miami, and Valkyrie yacht for their generous contribution to DISCOVERY Yacht missions. Five SeaKeepers Drifters were deployed thanks to Defiance, Fugitive, Meduse, and Valkyrie. Founders’ Dinner guests will enjoy a video highlighting the 2014 DISCOVERY Yacht missions. Guests will have the opportunity to board Shredder, which will be docked at the venue. A silent auction, featuring items from sailing experiences to vacation getaways, will take place during the event. 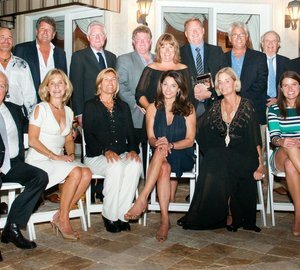 Please contact CharterWorld - the luxury yacht charter specialist - for more on superyacht news item "The International SeaKeepers Society to host 14th annual Founders’ Dinner honoring DISCOVERY Yacht vessels ".